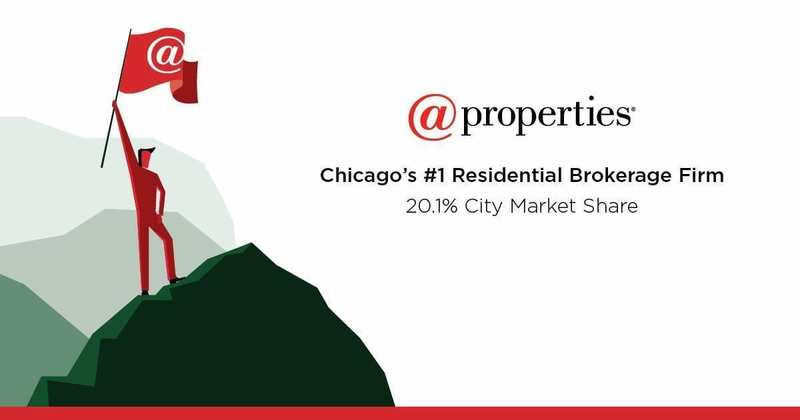 Founded in 2000, @properties grew to be the #1 brokerage firm in Chicago and along the North Shore within the first 10 years of its existence. "One of America’s fastest-growing private companies"
"Top 11 residential brokerages in the U.S."
● Brand awareness and credibility. A company you can count on for professionalism and result oriented performance. ● High performing, experienced, well trained agents you can trust to put you and your real estate goals first. ● Outstanding marketing through high quality print brochures, yard signs, and exclusive property websites. ● The largest internal network in Chicago with over 2,500 brokers. The benefits for sellers will include market testing before putting your house live on MLS, while benefits for buyers include getting a jump on a house that is not yet listed on the MLS. ● Achieved Illinois’ largest independent real estate firm in 2013. ● Revolutionary emotive marketing; acknowledging it’s not just selling a house, it’s buying a lifestyle.